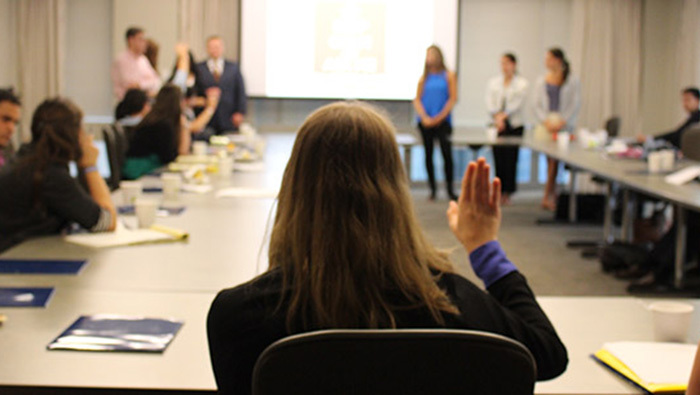 The Hillels of Illinois Harriet and Maurice Lewis Family Summer Intern Program (LSIP) is an eight-week paid work/study internship program hosted by agencies and/or departments of the Jewish United Fund/ Jewish Federation of Metropolitan Chicago. This prestigious program has evolved to meet the professional and communal needs of Jewish students today – students who are captivated by Jewish community building and are interested in developing their own professional portfolio. The Lewis Summer Intern program (LSIP) was established in 1987 by Harriet Gerber Lewis z"l, a Chicago-area philanthropist and General Chairman of the 1988 JUF Campaign. Lewis believed that it was the duty of each generation to pass a love for Jewish life on to the next generation. She remained involved with the program to the end of her life. The program is a project of The Hillels of Illinois and is funded by a generous gift from the Harriet and Maurice Lewis Family to the Continuum program of the Jewish Federation of Metropolitan Chicago. The program has continuously evolved to assist college students with job preparedness and personal branding in order to give them a head start in their career exploration and job acquisition. The Harriet and Maurice Lewis Family Summer Intern Program has received national recognition for its success in helping college students make career choices, develop workplace skills and enhance Jewish identity.